Today, I almost… ALMOST, did not need a jacket when I walked out of the house. So Spring is here and Easter is just around the corner, but more about that soon! 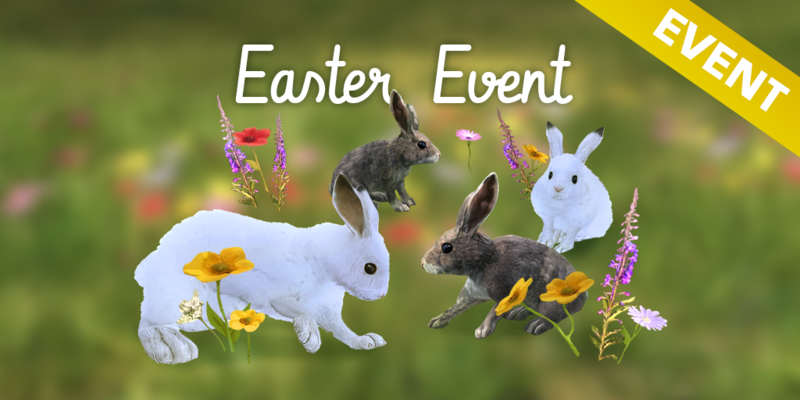 Today the annual Easter Event starts, it is packed full of Competitions and a nice themed Mission Pack! For More details, head over to our forum to have a read, or click on the banner in the launcher! 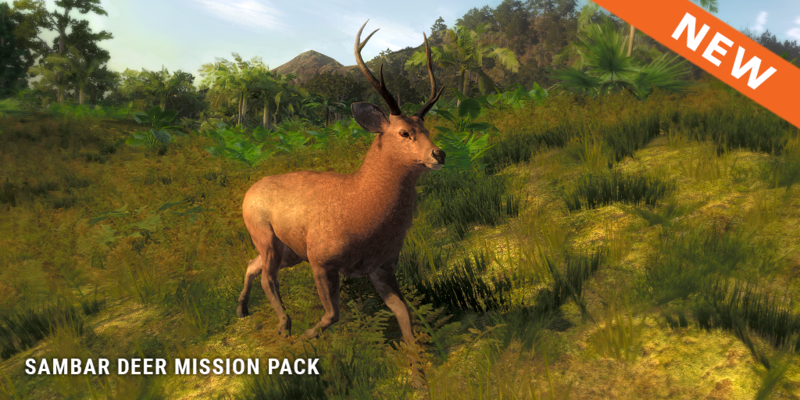 Sambar Deer now have a great mission pack, that you can work your way through, good luck! Just one week to go before the competition ends, not many entries yet, so I would say the T-shirts are still up for the taking. 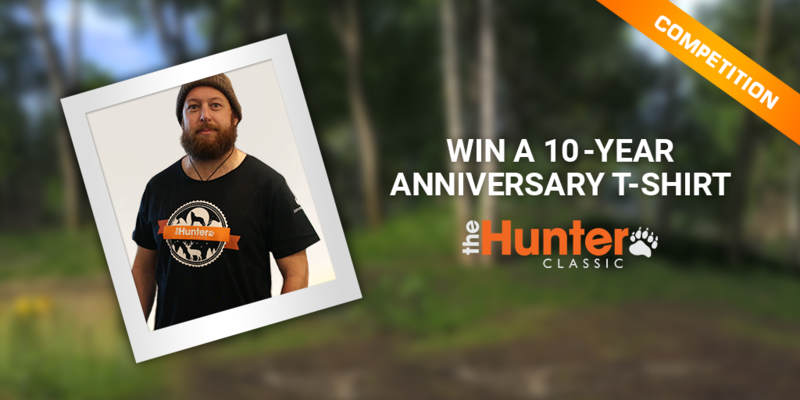 If you fancy getting your hands on one of these t-shirts, there is still time, head to our forums to read how! The other chance you have to win a t-shirt this week is be in our stream tomorrow, 4pm CEST! 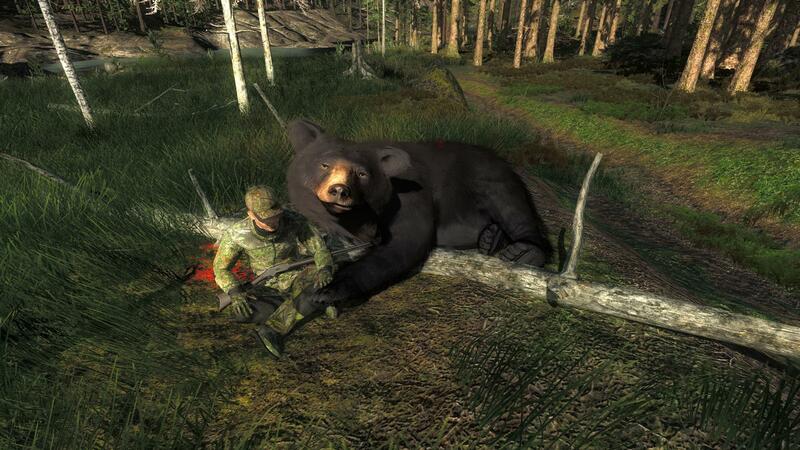 The ‘Trophy of the Week’ is this HUGE Black Bear, It was shot by ‘Nockedup’ and it scored 23.858, congratulations that’s a monster! Hopefully he looks as happy in your lodge! 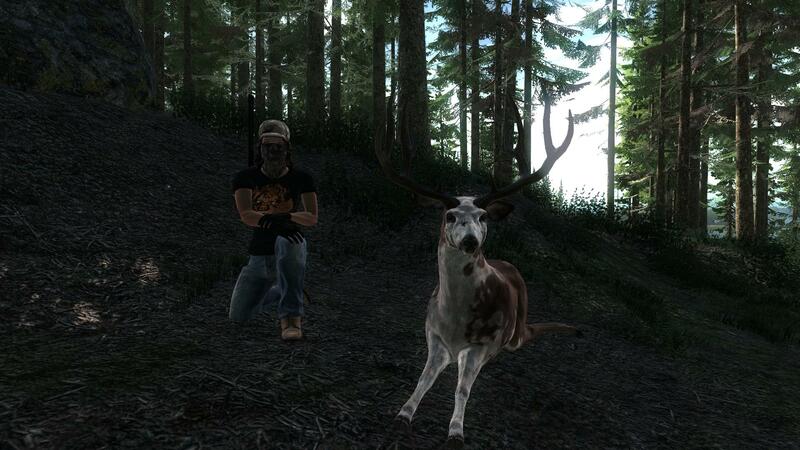 The ‘Rare of the Week’ goes to ‘W1nchester’ for this W-I-D-E Piebald Blacktail, it has a nice score of 193.7, congratulations! This week Polar Bear and Banteng are free to hunt, good luck!